A designer bedroom can become a gorgeous space within your home, a haven that is a pleasure to spend time in. Nothing says LA-style interiors more than a well thought out, minimalist bedroom with the penthouse apartment feel that is favoured by movie moguls and wealthy executives. 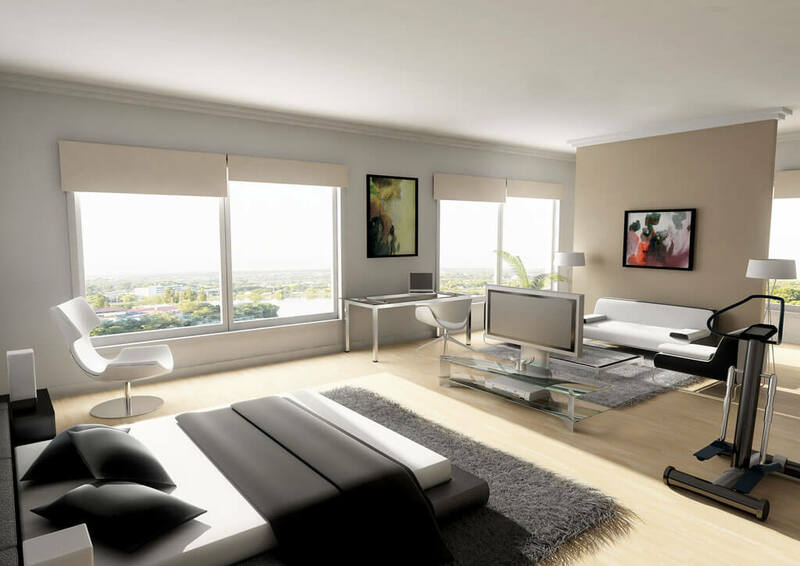 It sounds like it should be expensive and time-consuming to create, but if you focus on getting the key aspects right, it is straightforward to gain your own piece of penthouse glamour. Rid yourself of any dark, heavy curtains and replace them with white muslin, with wooden blinds for night-time, to ensure that the light streams in unfettered to bounce off walls that are painted in a light, neutral colour. This will further emphasise the room’s most airy aspects. As to further décor, the focus should definitely be on minimalism. Fuss and clutter are a no-no, so concentrate on the key pieces. Start with the most important piece of all – the bed. A super-stylish leather bed is a desirable modern feature that will elevate your bedroom onto a whole new level. You may even find a perfect leather bed that offers enough storage space to help you maintain that minimalist feel. All you need to complete a penthouse bedroom are some splashes of stylish colour. Forget pastels and go for burnt orange, maroon or turquoise tones to feature in the odd cushion or wall-hanging. Choose a couple of pieces of the most chic art, such as one modern print and an abstract sculpture – it need not be outrageously expensive. With those in place you will have transformed an ordinary bedroom into your very own LA-style pad, minus the shocking price tag – simply divine.